On the basis of a recommendation made on this board I did my first serious listening to the works of Michael Tippett. It was symphonies 2 and 4 on a BBC Music Magazine recording with the composer conducting the BBC Symphony. I regarded them as very listenable modern but tonal works but did not find much originality. The music was at various times reminiscent of Shostakovich, Stravinsky, and Holst. Any opinions on this composer? Did you listen to the 4th symphony, or only the 2nd? The 4th symphony is a very personal and original score that only Tippett could have written. I also like the 2nd very much. Tippett's style underwent some dramatic changes in style throughout his long career. His earliest works from about 1935 to 1950, are in a very respectable and earnest English variety of neoclassicism. A Child of Our Times is often performed, because it's relatively easy to perform and because of its use of spirituals. Around 1950 he started writing an extremely lush and lyrical music, sometimes outrageously dense in texture. The Midsummer Marriage is a good example of this and the "Ritual Dances" from this opera are very lovely, and real virtuoso orchestra showpieces. From the same period comes a Fantasia Concertante on a Theme of Corelli which is really stunning. The 2nd symphony comes at a transition to the leaner, meaner music of the 1960s. King Priam represents a severly stark, stripped down style characterized by a "modular technique" where fragments of music are juxtaposed rather than developed. The Vision of St. Augustine is another major work of this period. The 3rd and 4th symphonies were written in the 1970s. The 3rd has a soprano solo in the finale, which makes me favor it less than the 4th, which has no composer-written text attached to it (you don't want to pay too much attention to Tippett's texts. They're terrible). Tippett's final composition The Rose Lake, for orchestra, was written in 1990, and it's gorgeous. One of his best works and a great way to end a career. The fourth symphony is quite impressive; much more so than the second. I recommend his Corelli Fantasie for Strings. Also, the music needs a more expert hand on the podium than the composer is able to provide. Solti did a bang up job with the 4th. Richard Hickox has a better take on the 2nd. I kind of tip-toed into Tippett as well. It wasn't until I heard pianist Murray Perahia in a performance of Tippett's Piano Sonata No. 1 that I was turned on to Tippett. 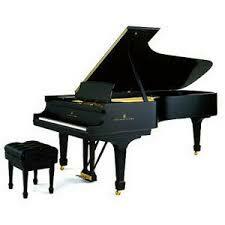 (I also prepared the piano for Mr. Perahia, which added another touch!) I am not yet familiar with the symphonies but my appetite is whetted here. Perahia's sonata recording can be found in his 25th Anniversary Sony Classical multi-CD set . They have lots of other interesting Tippett stuff, too. (I sang in A child of our time once at the local Cathedral It was a memorable occasion - but I've not explored Tippet's non-choral material yet... just about to start....). ordered the piano concerto, cant wait to hear it.